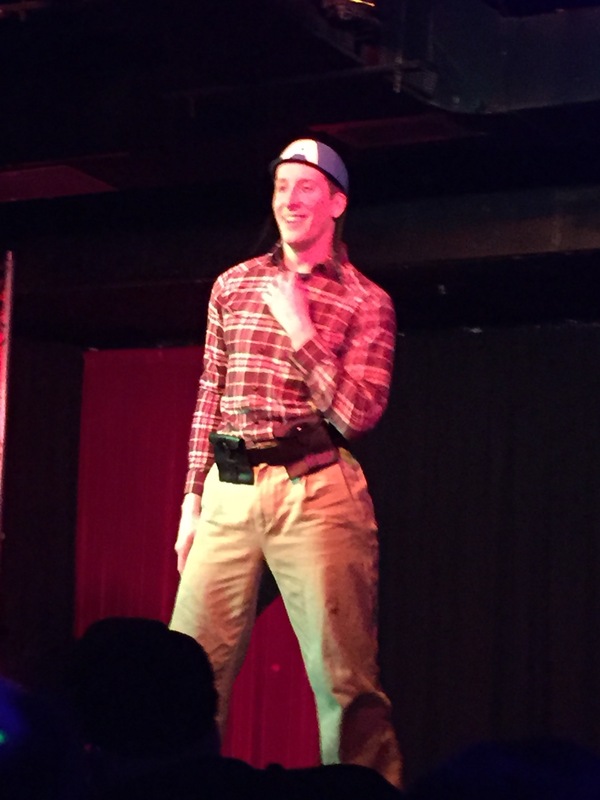 Last weekend, we hit up something new: a body-positive, male/female, nerd-themed burlesque show. The show was created by Western Mass.-based troupe Bon Appetit Burlesque, which often performs in the Northampton area and is lead by the delightful Hors D’oeuvres, pronounced the way you want to say it. So let’s break down Nerd Burlesque… It’s the art of the tease mixed with a healthy dose of Star Wars and hobbits. The nerd quotient was high among the performers, much to our glee, across plenty of decades of multimedia nerd-dom. In the course of a few hours, we saw Han Solo, Godzilla, Pokemon, and a bound Princess Leia strut their stuff. The costumes were surprisingly elaborate. There was a wide gamut of talent, too – budding dancers as well as seasoned teasers who all had the crowd riled up as they played to their strengths. Here are some glimpses… This is Baroness Blitzen Von Schtupp in the midst of her Alien-inspired routine…she also performed a Godzilla-themed dance in Act II. In the ‘boylesque’ category, this is Dale Stones, CFO of the Boston-based Sirlesque. Here, Dale is transforming into Captain America… He also doubled as Link from the Legend of Zelda. My personal fave of the night was Femme Bones, founder of the Slaughterhouse Sweethearts, who started off as Red Sonja and returned later as Tina from Bob’s Burgers. Sadly, the venue we visited, Diva’s Nightclub, is about to close after several years in business. But all of the performers have gigs on their schedules, and Bon Appetit Burlesque is expected to resurrect itself at a new place soon, pasties and all. Have any experience in the burlesque world? I’m intrigued. Tell us about it in the comments or send me an email at writerjax -at – gmail. PodCamp WM returns for its EIGHTH session! Too funny! Did the birthday boy enjoy? ?